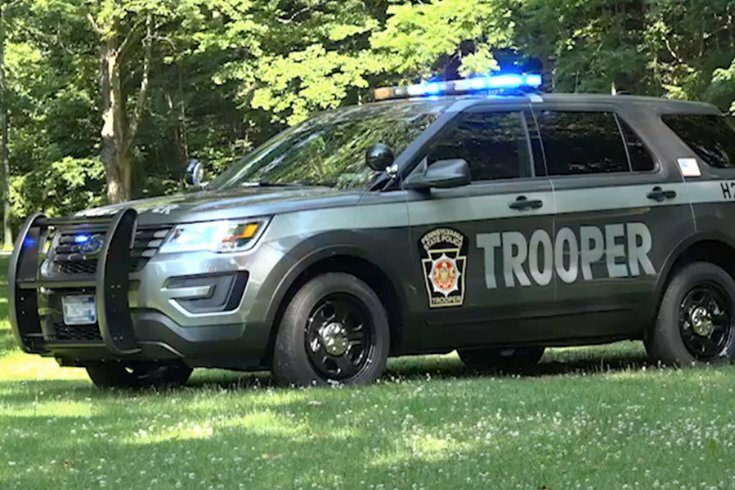 A man fleeing from authorities in Berks County on Monday was fatally run over over by a Pennsylvania Game Commission bulldozer as he hid from law enforcement in a thick underbrush, Pennsylvania State Police said in a news release. The accident occurred in Penn Township after a Game Commission employee observed a car parked well off the road in a field. Bernville Police were called to the location and two males fled the scene on foot, according to police. The first suspect, identified as David Brook Light, 57, of Sinking Spring, was captured by Bernville Police. The second suspect managed to escape from authorities. State police and Game Commission resources were called to the location to locate the second suspect around 11 a.m. Aviation, patrol members and vice unit members were brought in to assist with the manhunt. At one point, a state police helicopter located the second suspect hiding in the underbrush, police said. An attempt to hail him was unsuccessful and police again lost track of him. A Game Commission employee and state police trooper who were operating the bulldozer continued their search for the second suspect as they drove through the underbrush, police said. During the search, the bulldozer came to a stop in the underbrush and the second suspect was found deceased underneath the rear of the vehicle. Police said Light was taken into custody and will be charged with various drug offenses and trespassing. The suspect who was killed by the bulldozer was later identified as Gregory A. Longenecker, 51, of Reading. An autopsy was scheduled for Tuesday afternoon.